By now you know us well. We will not stop talking about the benefits of a decentralised world! A world where everyone has the freedom to decide how to manage their assets, education, family and any aspect of life in general. A decentralised world that this is now more possible because of blockchain. Well, blockchain is about to do it again!! 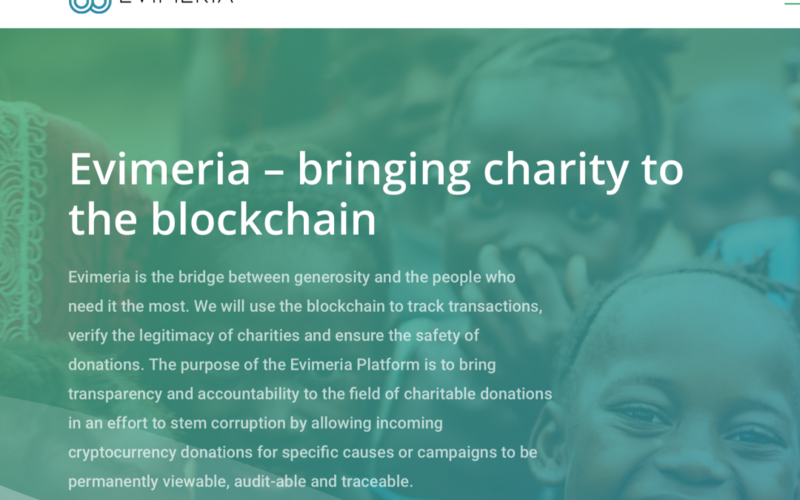 Here is how Evimeria will use blockchain to make the charity industry a better place!! I have been following and mentoring a young dynamic team of developers and entrepreneurs who are on a mission to clean up the reputation of the charity industry. They are called Evimeria, and through blockchain, they want to bring accountability and tractability to all future donation schemes and charity organisations. I have taken their project to heart because they also share my vision of a decentralised and more transparent world. I support them greatly and that is how I ended up on their advisory board. Donation schemes and Charity organisations have lost their edge and credibility in the past decade or so. We have heard many instances where organisations fizzle out and fail to use the funds as promised. Or else, after all the hype is over, it transpires that the organisation gets the majority of the money as service fees and only a little bit reaches the actual person in need. How many times did you want to donate for a good cause, but then stopped because you have too many doubts? Will the money I donate really reach the charity organisation? Will the charity organisation actually organise and spend the money on what or who they are promising? Once you have donated your money, then you have no more control over it! You can only hope it actually results in some benefit to the world! The Evimeria team have set about to create an ecosystem that will be the bridge between generosity and the people who need it most. The word ‘evimeria’ is Greek for prosperity and economic success. Through this ethos, the Evimeria project revolves around giving people around the world a fair chance at life by making donations easy and transparent. Here is how they will do it. The ecosystem will be made of three major parts: the platform, the exchange, and the public blockchain. This donation platform will offer a user-friendly blockchain backed platform for charities and benefactors to come together. All charity accounts will go through a manual vetting and KYC process in order to confirm their identity and business status. Then, Evimeria will give them a charity profile page which is always visible to the public. Transparency is mandatory in this case. Everyone can create a donor account and use the platform to support the charities they wish to. The important aspect is that donors will have all access to the charity’s immutable records of payment amounts and routes. A donor account can be private if the donor wishes to remain anonymous. Of course, this is not possible for a charity account. This exchange will be what connects the platform to the public blockchain. The Evimeria token (EVI) powers the Evimeria platform by offering liquidity and an exchange-of-value system within the Evimeria ecosystem. Here, other cryptocurrencies such as ETH and BTC can be exchanged and traded with EVI to be able to use the Evimeria donation platform. The EVI is currently a Waves token, however, by Q1 of 2019, the EVI will have its own public blockchain with its own blockchain explorer. Once on the blockchain, the EVI can also be staked for rewards. The public ledger system ensures that all EVI transactions related to donations or anything else are easily tracked. All donations and their use will be permanently viewable, auditable, and traceable on the public blockchain. As a result, these three components will bring; a.) a simple platform that brings together donors and charities transparently, b.) an EVI exchange that links EVI with other cryptocurrency assets, and c.) a public distributed ledger that tracks and accounts for every transaction. So yes, I am proud to be an advisor to the Evimeira team. I truly believe that blockchain has the potential to bring confidence back into the non-profit sector once again. It will make the charity industry more transparent and accountable. People will now know for sure if their donations really reach the people in need or the pockets of the charity directors! I must say implementing blockchain in Charity industry will be a revolution in its own, I agree with your thoughts and vision, I also feel Emerging technologies like blockchain have brought in a revolutionary change in every field like banking, technology, energy and supply chain sectors. countries who are sceptical earlier they are also adopting this technology now. I feel future has much more for Blockchain and so does Charity Industry. Keep up the great work. Add your Name and your E-mail address in the field below and you can start the download of my 5 secrets to save time and earn Bitcoins! 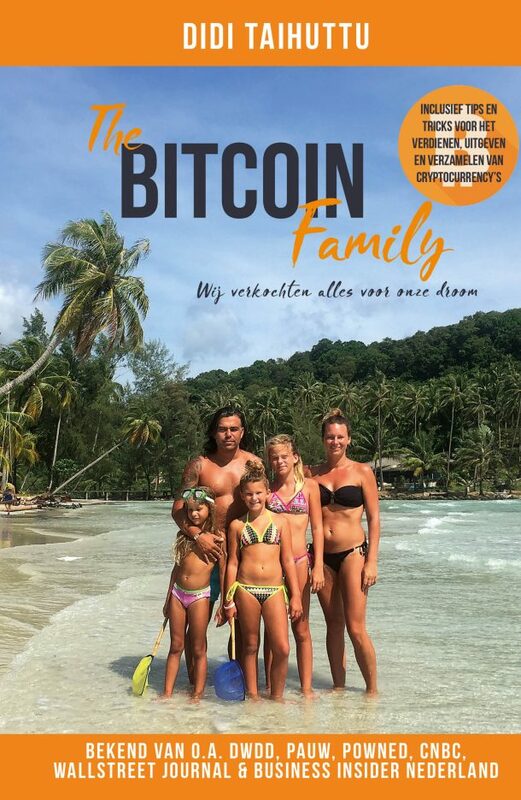 We also share how we multiply our Bitcoins and how you can prepare and travel on crypto with kids! You will also receive an Email when our Book will be available in English and receive a 5% discount!